Currently on back order, available in August. 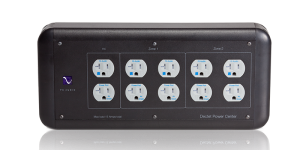 Getting the power from the wall receptacle to your equipment is a critical link that is often times overlooked. The AC3 is our most affordable AC cable providing a low noise, low impedance path for the AC power to connect your equipment to either a Power Plant AC Regenerator or the wall outlet in your home. Improvements to both audio and video performance are dramatic. 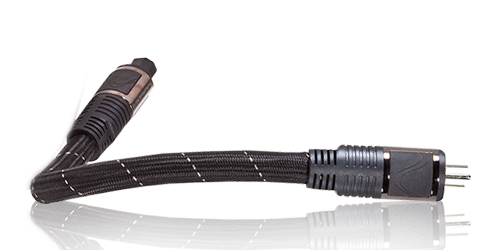 The PerfectWave AC3 is our most affordable power cable. 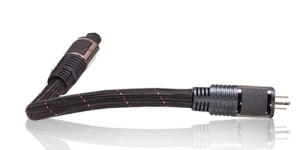 The AC3 is a 12 gauge cable constructed with OFC copper in multiple gauges and shapes. Inside the AC3 is one OFC hollow conductor for the treble region, a large OFC rectangular conductor for the midrange and multiple gauges of OFC bundled together for the bass. Equipment powered with an AC3 enjoy a significant improvement in sound quality over any stock power cable. Construction of the AC3 employs the use of multiple conductor types including hollow core, flat and solid core conductors, plus an outer shield properly terminated at only the male end of the cable. It is available in US, UK and Shuko style connectors.